On the second Twitter account, BTS members do what everybody on Twitter does -- publish messages under 280 characters and uploads selfies and short clips. However, they do it so well that it prompted Bloomberg to say of their social media use as “likely (having) something to do with (BTS’ success in the US)” in its December 2017 piece. One thing to note is the sheer quantity of their tweets. BTS joined Twitter in July 2011, but they didn’t publish their first tweet until Dec. 18, 2012. Fast-forward to October 2018, the band has accumulated over 11,200 tweets. Which means for the past five years and ten months, the band has tweeted out an average of 5 posts per day, including retweets and replies. If the numbers attest to anything, it's their commitment to stay connected. 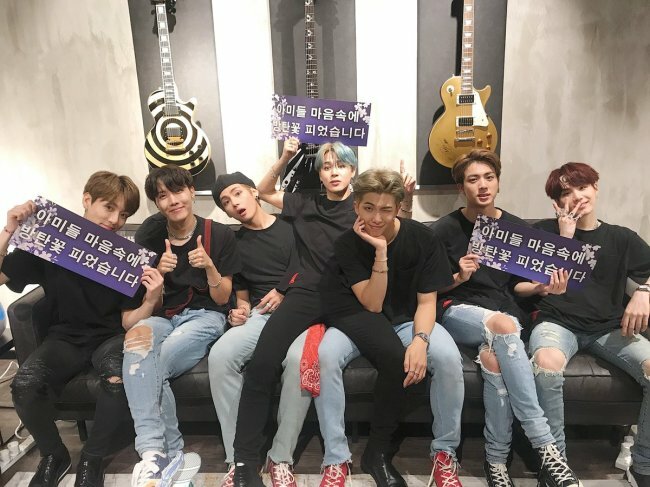 Experts and critics who jump to analyze the mechanism behind the success that is BTS often point to the band's social media use. But what is glossed over by calculators and theories is the chance that “the Twitter act” could possibly be all genuine: You can’t fake some eleven-thousand posts for over five years. Perhaps there is no formula to be derived, except authentic spontaneity.